Homeschooling is not for everybody, but it’s definitely for us. The learning doesn’t stop when the bell rings and everything in our life is a potential science project. We have a room in our home set up as a classroom and we re-decorate it a little bit every year to refresh it. Grayson puts in a long work day 5 days a week, but he chooses his own schedule. My 4-year-old loves to do her homework. I am frequently asked if socialization is an issue. The answer to that is a big… NO. We get involved with clubs, community and volunteer stuff, and lots of sports. I’m constantly telling Grayson that we can’t do it all. Two clubs and two sports at a time is about all I can handle. It’s still difficult to make time for friends and family because our schedule is booked solid all the time. We have a list of things a mile long that we want to do. People also ask if homeschooling is difficult for me. The first year was a learning curve but I’ve found my groove. There are times when it feels burdensome, but it is an absolute blessing most of the time. If that changes, we will cross that bridge when we get to it. For now, we feel so lucky! We are members of a huge homeschooling association in Florida called The Florida Parent Educators Association. 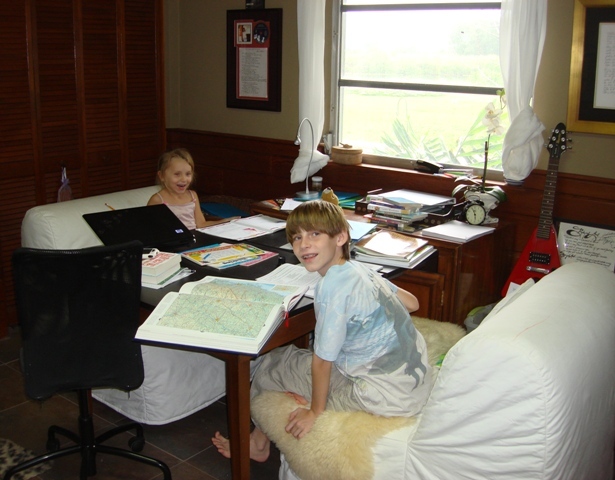 They are incredibly helpful with so many homeschooling topics. They also host an enormous (over 30,000 people) homeschooling convention in Orlando every year that is worth attending. It answered many of my questions and surpassed my expectations. 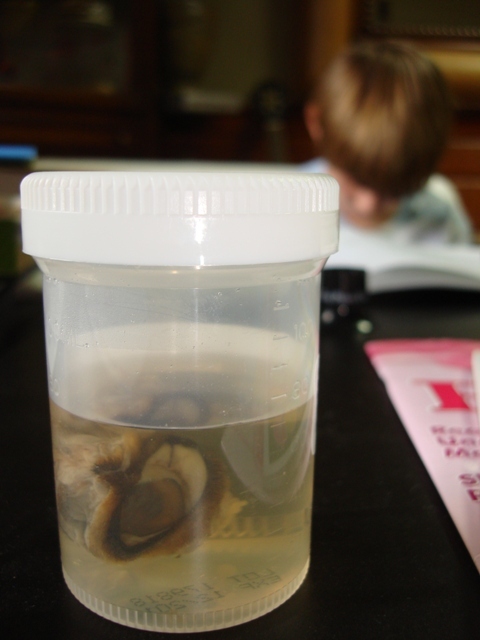 A dog's eye preserved in a container of formaldehyde. We love our home classroom. The dog’s eye in the above photo is for educational purposes and sits on Grayson’s desk. I’ve noticed that when he gets frustrated with something he’s studying, somebody inevitably makes a joke with the eye. It provides instant comedic relief and a giggle. Thank you, dad! Can we have a heart with heartworms wrapped around it too?